This post can be viewed online at https://www.fsf.org/news/libreplanet-2014-seeks-session-proposals-volunteers-for-annual-free-software-conference. LibrePlanet is an annual conference for free software enthusiasts. LibrePlanet will be held in March 2014 in Cambridge, MA. LibrePlanet brings together software developers, policy experts, activists and computer users to learn skills, share accomplishments and face challenges to software freedom. Newcomers are always welcome, and LibrePlanet 2014 will feature programming for all ages and experience levels. This year, the theme of LibrePlanet is "Free Software, Free Society." How can free software protect journalists, whistleblowers, activists, and regular computer users from government and corporate surveillance? How can free software, or free software values like copyleft, community development, and transparency, be used by people fighting to create free societies around the world? What challenges are standing between us and our goal of free software ubiquity? With your help, we'll tackle these questions and more at LibrePlanet 2014. "We invite presenters of all kinds and experience levels to submit applications; you don't have to be a coder to speak at LibrePlanet. Free software users, activists, academics, policymakers, developers, and others are all encouraged to help us build our most vibrant program yet," said Libby Reinish, a campaigns manager at the FSF. 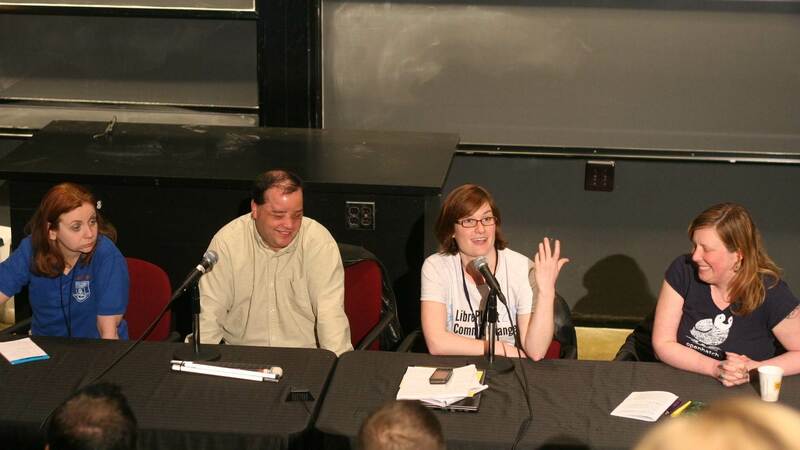 "LibrePlanet 2014 will be held thirty years after the launch of the GNU System. This is the perfect opportunity to take stock of where we've been and where we're headed as a community," said John Sullivan, executive director of the FSF. Call for sessions applications are currently being accepted at https://www.libreplanet.org/2014/call_for_sessions and are due by 21:00 UTC (17:00 Eastern time) on November 15, 2013. "Another first this year is a formal volunteer planning committee for LibrePlanet. This conference is about celebrating a movement built by dedicated volunteers, and we feel that our members should also have a hand in developing the conference program, logistics, social events, and outreach," said William Theaker, outreach and communications coordinator at the FSF. Those interested in volunteering may sign up at LibrePlanet.org. Volunteers will be accepted on a rolling basis, but to participate in the volunteer planning committee please apply no later than 21:00 UTC (17:00 Eastern time) on November 15, 2013. LibrePlanet is the annual conference of the Free Software Foundation. What was once a small gathering of FSF members has grown into a larger event for anyone with an interest in the values of software freedom. LibrePlanet is always gratis for associate members of the FSF. To sign up for announcements about LibrePlanet 2014, visit https://www.libreplanet.org/2014. LibrePlanet 2013 was held at Harvard University from March 23-34, 2013. Over 150 attendees from all over the world came together for conversations, demonstrations, and keynotes centered around the theme of "Commit Change." You can watch videos from LibrePlanet 2013 at http://media.libreplanet.org. You can unsubscribe to this mailing-list by visiting the link https://crm.fsf.org/civicrm/mailing/unsubscribe?reset=1&jid=128646&qid=5530936&h=cd44dc6b429b5d1f.